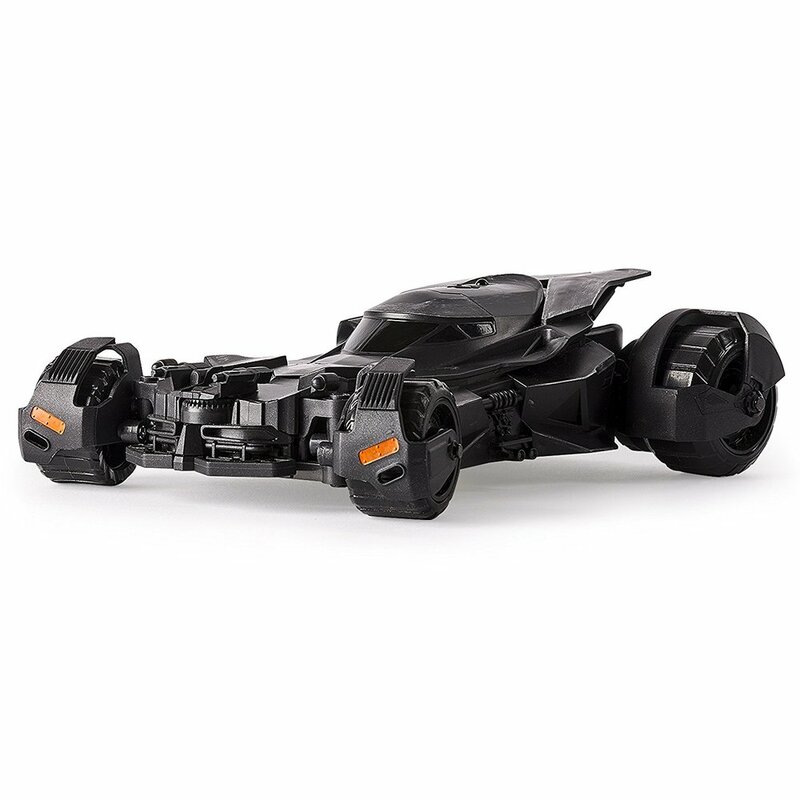 Hit the streets of Gotham City in the Batman V Superman Official Movie Replica RC Batmobile from Air Hogs. 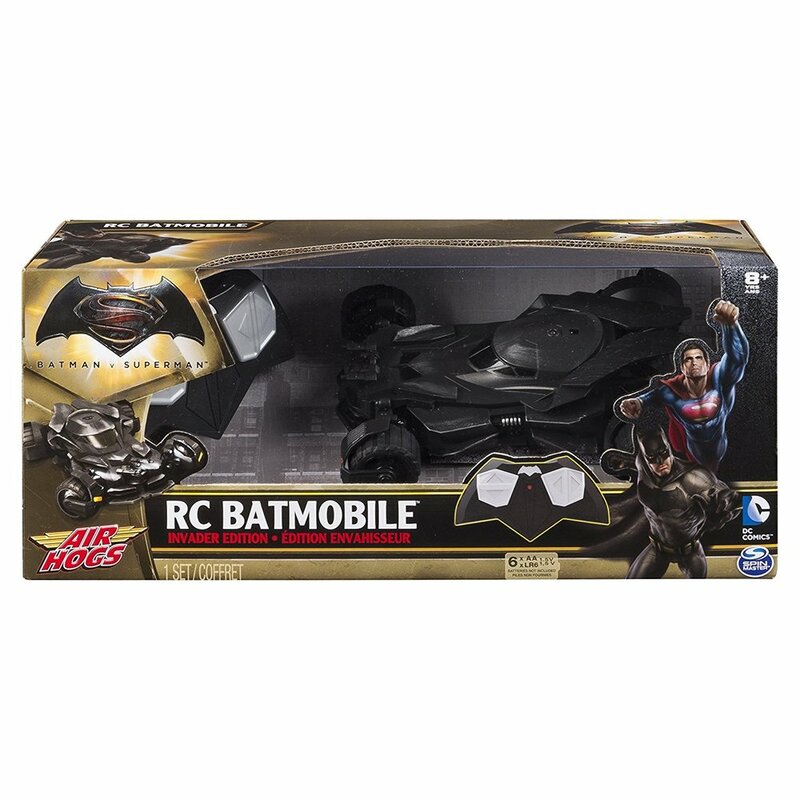 With brushed metal detail and responsive linkage steering, this authentic replica bursts off the screen and breathes life into all of the action-packed scenes from Batman V Superman. Light up the night with front mounted LEDs that track where you're headed and rear LEDs that burst into action whenever you hit the throttle. Get behind the wheel of the Batmobile with Air Hogs. This is the second Air Hogs toy we have reviewed (see the Batwing review here) but this is our favourite. This one was much easier to set up and easier to use for all of us. It comes with an official Batman V Superman remote which is simple and easy to navigate. The instructions are clear to read and easy to follow. The boys did it by themselves (once I put the batteries in). It does go pretty fast and the dog couldn't work out what it was and freaked out, which just made it more fun. It is the perfect toy for any Batman V Superman fan and would be perfect for a stocking filler or present.